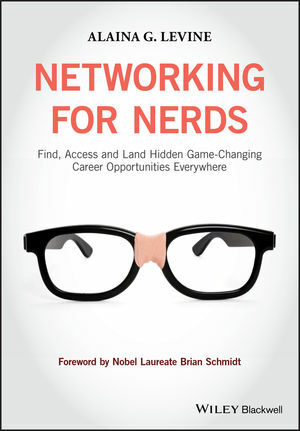 Networking for Nerds provides a step-by-step guide to understanding how to access hidden professional opportunities through networking. With an emphasis on practical advice on how and why to network, you will learn how to formulate and execute a strategic networking plan that is dynamic, multidimensional, and leverages social media platforms and other networking channels. An invaluable resource for both established and early-career scientists and engineers (as well as networking neophytes! ), Networking for Nerds offers concrete insight on crafting professional networks that are mutually beneficial and support the advancement of both your career goals and your scholarly ambitions. “Networking” does not mean going to one reception or speaking with a few people at one conference, and never contacting them again. Rather, “networking” involves a spectrum of activities that engages both parties, ensures everyone’s value is appropriately communicated, and allows for the exploration of a win-win collaboration of some kind. leverages social media platforms and other networking channels. mutually beneficial and support the advancement of both your career goals and your scholarly ambitions. professional planning for a truly fulfilling, exciting, and stimulating career. Alaina G. Levine is President of Quantum Success Solutions, a career consulting enterprise with focus on advancing the professional development expertise of scientists and engineers. She is an award-winning, internationally known science and engineering career consultant, science journalist, professional speaker, and comedian.